Fill out the form and our Community Managers will reach out and schedule a tour that works with your schedule. Never have to worry about contracts, ethernet cords, or having to staff an IT department ever again. Our high speed internet will keep you connected to all the cat videos the internet has to offer. Seamlessly integrate with our conference rooms' wireless technology so that you can deliver stellar presentations without having to worry about the right hook ups. 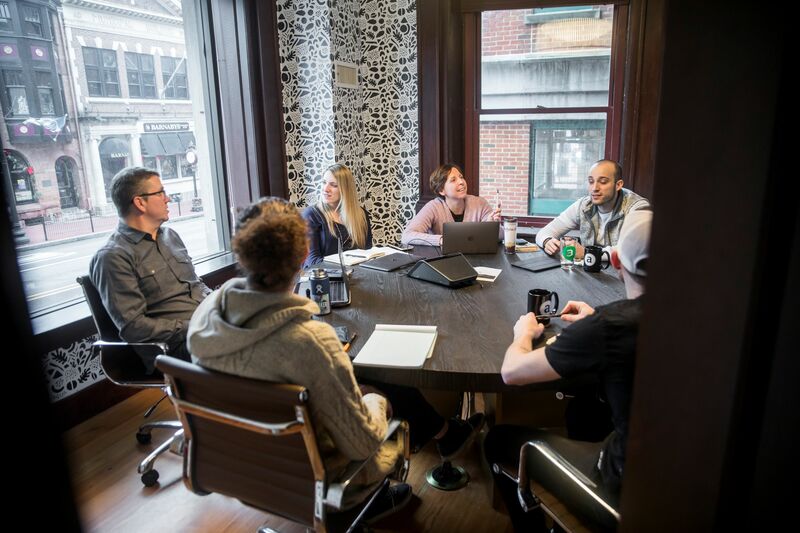 Forget counting minutes - our conference rooms come with state of the art teleconferencing capabilities so you can connect with clients, employees, and co-workers across the globe. 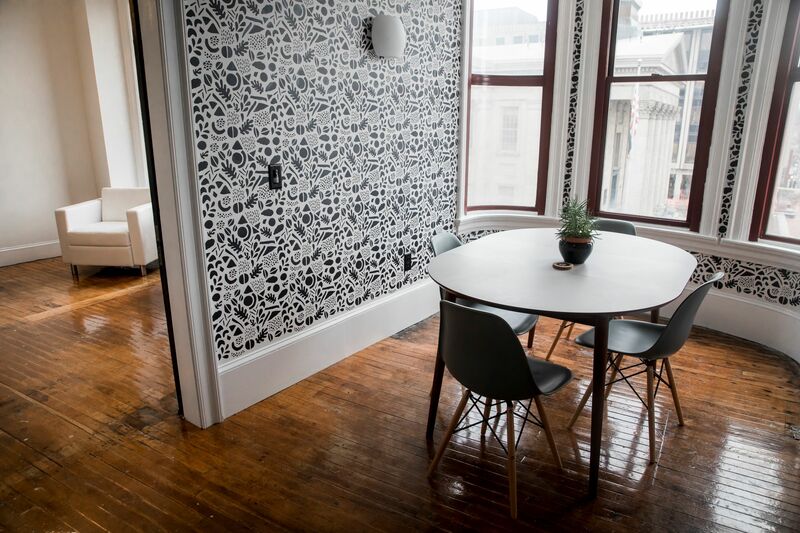 Show everyone your pearly whites and our slick conference rooms. All of our meeting rooms come equipped with flat screen TVs with videocasting capabilities. Leave the baseball bat and your Office Space DVD at home. On every floor connect with our all-in-one scanner, printer, and copiers. Oh, and like some places, we won't nickel and dime you for the pages you print. Your caffeine jitters are on us. Never worry about getting berated for not brewing a fresh pot of coffee - we'll take care of it. And when you've had enough coffee for the day, enjoy a beer from one of our rotating taps from local breweries. Say goodbye to cubicle-life and bask in the natural light of our open work spaces. With communal tables and comfy couches, let your mood dictate where your bottom lands. 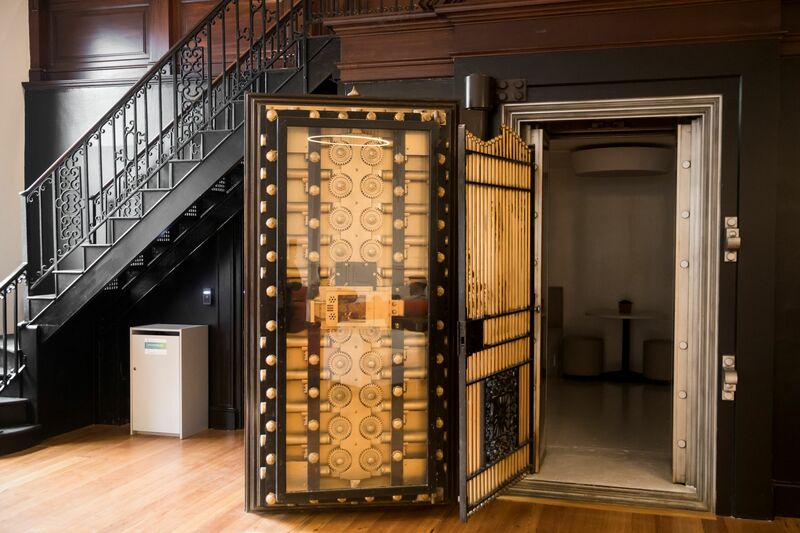 What was a bank a hundred years ago, is now your office. A Community Organizer will reach out to you shortly.